For the past year, my family and I have been living in Asia where we have been following our dreams and trying to partner with God. The beginning of last year I explained what we were hoping to do in the post, Offering Hope and Future to Orphans. Basically our desire is to create a family for Asian orphan girls aging out of the orphanage by giving them legitimate jobs to help them get on their feet, give them marketable skills, and allow them to see they are valuable. Over the past year, we have moved our family to a place we have never been, began learning a language we didn’t know, to show love to a group of people we have never met. Through the support of a team of people back home who have believed in us and prayed for us, we have continued to march forward on this quest. You can follow our journey more closely on our newsletter site. This quest was birthed out of our family’s relationship with God and has continued to give life to our understanding of Him. Because this has encompassed so much of our lives, the journey shows up in how and what I write on the Prayer Coach blog. Therefore you already have an investment in what we are doing here. Now, we are starting the business in Asia! This business is how we will be able to hire orphan girls after they age out of the orphanage. This business will help protect orphan girls from human trafficking by giving them legitimate jobs that will keep them off the streets. 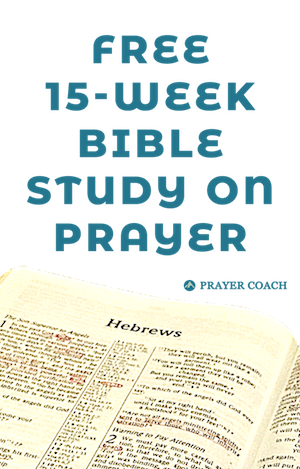 As friends of the Prayer Coach Blog, please share this page with friends adding whatever it is that motivates you to stay connected with us. Also, please prayerfully consider giving to Josiah’s Covenant. All donations to Josiah’s Covenant is tax deductible for donors in the US. Feel free to ask questions in the comments below. We appreciate your partnership with the Prayer Coach blog. Thanks.